Below you fill find all funeral homes and cemeteries in or near Halstad. Halstad is also known as: Norman County / Halstad city. Zip codes in the city: 56548. Norman County funeral flowers can be purchased from one of the local funeral shops we partner with. Some of the notable people born here have been: (skitch henderson), and (tony brottem). Halstad is a city in Norman County, Minnesota, United States. The population was 597 at the 2010 census. It was noted on February 11th, 2016 that Douglas F Dixon perished in Halstad, Minnesota. Dixon was 82 years old. Send flowers to express your sorrow and honor Douglas F's life. It was reported on February 11th, 2016 that Douglas F Dixon died in Halstad, Minnesota. Dixon was 82 years old. Send flowers to express your sorrow and honor Douglas F's life. It was written on July 7th, 2015 that Vernon R Strand perished in Halstad, Minnesota. Strand was 88 years old. Send flowers to express your sympathy and honor Vernon R's life. It was reported on April 10th, 2015 that Irene B Anderson passed away in Halstad, Minnesota. Anderson was 91 years old. Send flowers to express your sympathy and honor Irene B's life. It was disclosed by The Forum on February 26th, 2015 that Alice Irene Christianson died in Fargo, North Dakota. 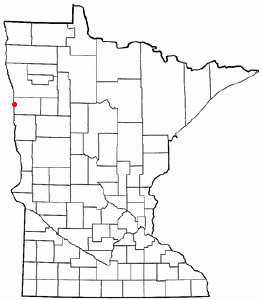 Christianson was 93 years old and was born in Halstad, MN. Send flowers to express your sorrow and honor Alice Irene's life. It was noted by The Forum on February 21st, 2015 that Faye Carmen "Carmen" Ford (Waite) passed on in Fargo, North Dakota. Ms. Ford was 82 years old and was born in Halstad, MN. Send flowers to express your sorrow and honor Faye Carmen "Carmen"'s life. It was noted on January 10th, 2015 that Sidney Rosholt died in Halstad, Minnesota. Rosholt was 93 years old and was born in Buxton, ND. Send flowers to share your condolences and honor Sidney's life. It was noted on January 8th, 2015 that Fern A Krogen perished in Halstad, Minnesota. Krogen was 86 years old. Send flowers to express your sorrow and honor Fern A's life. It was revealed by Topeka Capital-Journal on December 10th, 2014 that Judith A Myron (Sether) died in Topeka, Kansas. Ms. Myron was 95 years old and was born in Halstad, MN. Send flowers to share your condolences and honor Judith A's life. It was written on June 21st, 2014 that Mary Mohberg passed away in Halstad, Minnesota. Mohberg was 93 years old and was born in Milnor, ND. Send flowers to share your condolences and honor Mary's life. Halstad is a city in Norman County, Minnesota County, Minnesota, United States. The population was 622 at the 2000 census. . . . The official website for the city of Halstad is http://www.halstad.com/. They moved to Shelly, MN where they owned and operated Knutsons Caf ... Memorial Service: 1:00pm on Monday, November 8, 2010, at Fredrikson Valley Funeral Home, Halstad. Visitation: One hour before the service on Monday. Find a Funeral Home inHalstad, Minnesota MN to provide the caring burial and ceremonial services your family deserves. The finest roses, gifts and Mother's Day flowers delivered fresh. Serving Halstad, Minnesota, surrounding suburbs and the entire country. We work with local florists and flower shops to offer same day delivery. You will find budget sympathy flowers in Halstad here. Our funeral flowers are cheap in price but not in value.